What is Driver's Foot and How Can It Be Treated? Have you ever felt your feet start to hurt or even go numb on a long road trip? It turns out, this isn't just a nuisance, it's a painful condition known as driver's foot and, if left untreated, it can worsen over time, leaving you sore and unable to perform daily tasks. Let's explore what causes this condition to develop, and what you can do if your feet are already affected. Driver’s Foot is, obviously, caused by driving. It can affect professional and recreational drivers alike. The pain of driver's foot is usually felt in the heel of your foot, across your big toe, or in the ball of your foot, near the big toe. Sitting in Houston traffic can make this pain worse, as you are forced to hold your foot in one position for extended periods of time. Depending on where you experience the pain of driver's foot, you may require a different form of treatment. Pain in the ball of your foot: this pain usually manifests when your foot touches the pedal; it's considered an overuse injury. Constantly having to push down on the pedal can worsen your pain, causing bursitis (an inflammation of the fluid-filled sacs between your toe joints), or even lead to bone bruises on your toe bones. The type of shoes you wear while driving can also cause pain to the ball of your foot. Women wearing high-heeled shoes are more likely to suffer. Wearing a gel-padded insole will help to lessen the pain. Pain in the heels of your foot: your heels can become bruised and sore when you drive, as you put pressure on your foot while it rests on the car's floor--it's similar to the pressure placed on feet from all-day standing. When you rock that foot to apply gas or the brakes, the pain may become worse. Wearing different shoes may help lessen your heel pain; custom orthotics can also improve this condition. 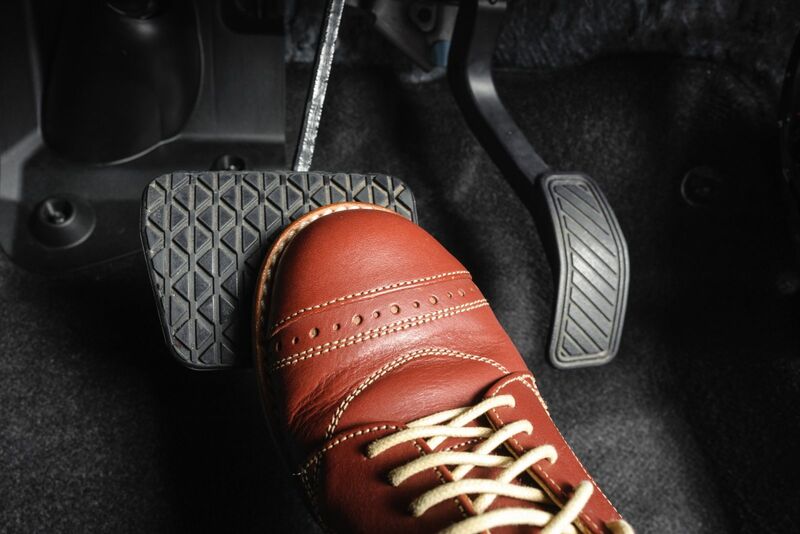 Top-of-the-foot pain: this type of driver's foot pain is usually caused by built-up tension from holding car pedals in place for extended amounts of time. Stiff gas pedals can make this problem worse, since you will have to push down on them with greater force. Fortunately, this kind of pain is typically temporary; it should go away quickly after you park and walk around a bit. Flexing your feet rotating them in circles is often helpful in alleviating this type of foot pain. Does Driver's Foot Require Treatment? If driver's foot is only an occasional problem, you can probably manage the condition by limiting drive times and taking more frequent pit stops. If, however, the pain of driver's foot is affecting your ability to do your job, or is lingering outside of the car, your symptoms may be a sign of a bigger problem. If that's the case, come make an appointment at Tanglewood Foot Specialists for some more permanent treatment options. We can help stop the pain and allow you to drive comfortably once again.